New Stars, Young Stars, Hot Stove and Cool Music! Last Saturday was a ridiculously fun day of baseball-related activities that both put me in a tremendously good mood and also started my motor running in regard to the new Red Sox season. I was fortunate enough to be credentialed by the kind folks at Dana Farber for the New Stars for Young Stars event at Jillian’s on Saturday morning. Relatively unfettered access to the players attending the event as well as the other folks involved in the day had me quite appreciative! Watching the players interact with the children brought in by Dana Farber and the Jimmy Fund was mesmerizing and for sure many players made a some new fans for life. (They were playing pool one on one with the kids and giving them absolutely all their focus and attention. You could see how special they felt that BASEBALL PLAYERS were paying such rapt attention to them.) The impact of looking around a room filled with kids enjoying such a rare pleasure and realizing that these kids are either ill or the siblings of children who are sick is sobering. But on Saturday it was all about the fun and from what I witnessed, between bowling and pool, the kids had loads of fun with the “New Stars” of the Boston Red Sox. The public aspect of the day was an autograph session with the attending players (which this year included new Boston Red Soxee A.J. Pierzynski). The enthusiasm the players exhibited (not just with the children but with we older fans as well) was encouraging. 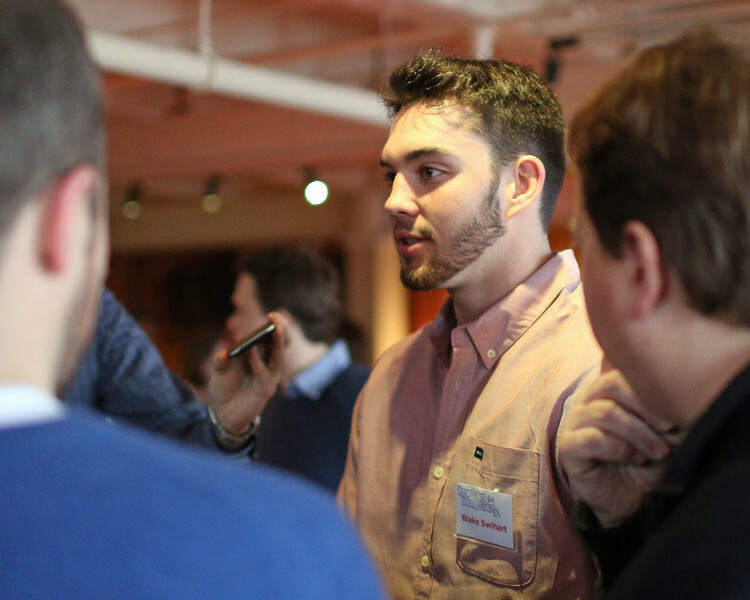 Blake Swihart shared that he had flown in the day before from Albuquerque, New Mexico and was thrilled to be in Boston, undeterred by the reports of the cold weather that was to come (Swihart, along with nine other players including southpaw to keep an eye on Henry Owens, is in town for the Red Sox Rookie Development Program this week). Armed with this knowledge, Kelly secured tickets to the VIP event prior to the show (for which I will be forever grateful) and we were afforded casual access to the likes of legends like Steve Wynn, Mike Mills and Fenway Park’s own Josh Kantor. I am more of an observer in situations like this one but Kelly made the most of the evening, chatting up musical geniuses who were just hanging out nibbling on hors d’oeuvre and enjoying the free beer! Once again, I’d like to thank Kelly at the Jimmy Fund and Dana-Farber for allowing me access to the New Stars for Young Stars event and a thank you to Kelly O for hooking me up at the Hot Stove, Cool Music concert. It was a great day for charity in Boston and a wonderful reminder of what we have to look forward to! Posted in 2014	| Tagged A.J. 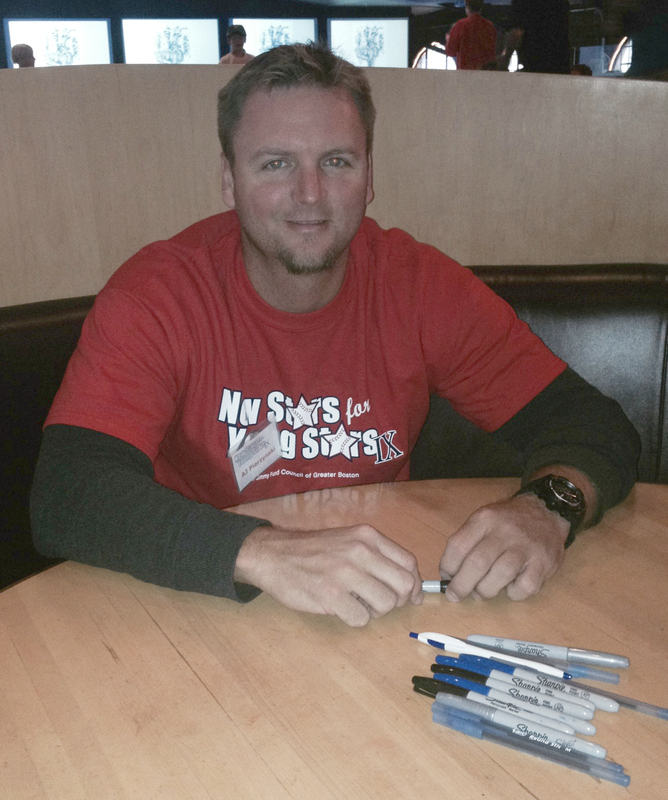 Pierzynski, Blake Swihart, Dana-Farber Cancer Institute, Hot Stove Cool Music, Jimmy Fund, Kelly O'Connor, New Stars for Young Stars	| Comments Off on New Stars, Young Stars, Hot Stove and Cool Music!